Thanks to the redoubtable efforts of those pioneers in the Royal Society, Austentatious have found a means of broadcasting themselves into the nation’s homes. 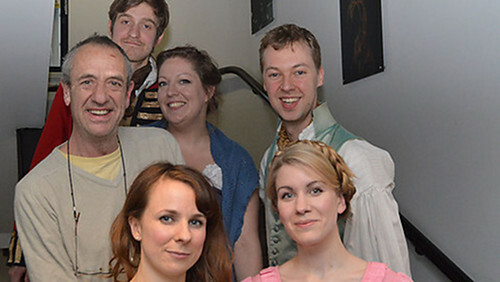 In the last week of April, Austentatious were interviewed on Radio 4 Extra by the learned, gallant Mr. Arthur Smith. Austentatious performed a short improvised piece, followed by some pleasant confabulation about their respective lives and times. Recordings of both are available to enjoy below at your leisure, and are best enjoyed after some vigorous embroidery or a gambling session at the gentleman’s club. Head to our Soundcloud page to listen.